NCEES hosted the Participating Organizations Liaison Council, a group of 25 member organizations committed to the advancement of professional ethics and standards and the promotion of engineering and surveying licensure. Through the annual POLC meeting in March and communications during the year, NCEES and the other POLC societies maintained open dialogue about their policies and the opinions of their leadership on issues of common interest. NCEES continued to maintain strong relationships by participating in other societies’ conferences and workshops to promote licensure, NCEES services, and its resources for engineering educators. NCEES volunteers and staff spoke with educators and students at exhibitions at many society conferences throughout the year—including the American Society for Engineering Education, the National Society of Black Engineers, and the Society of Women Engineers. NCEES focused on building relationships with international organizations. At the 2015 annual meeting, delegates approved a new member category—International Affiliate Organization—for foreign partners that have been approved to offer NCEES exams. NCEES delegates will vote in 2016 to add the new category to the Bylaws. NCEES collaborated with the American Association of Engineering Societies (AAES), which represents the engineering profession and serves as one cohesive voice, on an engineering competency model. 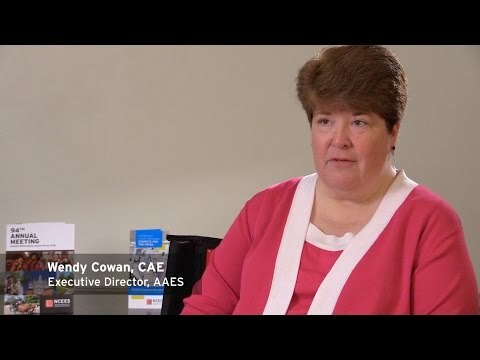 CEO Carter co-chaired the AAES Lifelong Learning Working Group and was one of the leaders, along with AAES Executive Director, Wendy Cowan, and Engineers Without Borders USA Executive Director, Cathy Leslie, P.E., in its initiative to develop an engineering competency model. The model, which was released on the U.S. Department of Labor website in July 2015, outlines the core competencies and skills necessary to enter the engineering profession and to maintain proficiency during one’s career. It can be used by high school guidance counselors, human resource personnel, and professional societies to promote the engineering profession. The collective efforts of NCEES and the other AAES member organizations are a critical step toward uniting the engineering community on the fundamental requirements engineers need to solve global challenges. 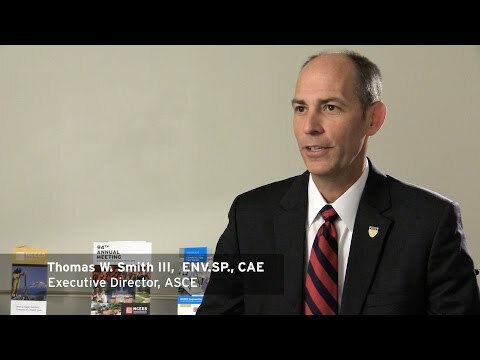 The American Society of Civil Engineers and NCEES stay connected through similar missions, visions, and values. ASCE and NCEES both focus on the value of licensure, ethics, and advancing the engineering profession to ensure the protection of the public’s health, safety, and welfare.